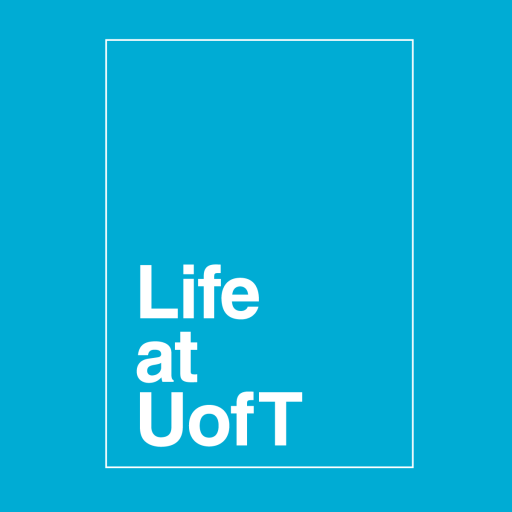 After seeing my first post in writing, I felt I needed to get out more – out of my own head, out of my own room, and into the wider U of T community. It was no good to claim difficulties in meeting others and getting “out there” if I could instead develop solutions. Having returned this year to U of T after a two-year absence, I observed that the biggest adjustment was eating by myself. I had the good fortune of two years of family dinners, so this was the most obvious difficulty. Now back at school, it has again become much easier to take food out in a takeout container – I thought I’d feel more isolated and look silly by being alone in a room full of people eating as groups, and I could catch up on CBC Radio or This American Life podcasts in my room. Practically speaking, takeout containers slung over one’s arm in a shopping bag are just easier to manage than a cafeteria tray. But the alone meal time made me feel worse; I knew something had to change. Please don’t misunderstand me, U of T, I do have friends. But a couple of years away means that those closest to me in residence with me are long gone – having moved off-campus, graduated, or having left the city altogether . So a solution to my loneliness problem became obvious: I couldn’t eat alone in my room anymore. This became a week-long experiment, the results of which I present to you now. 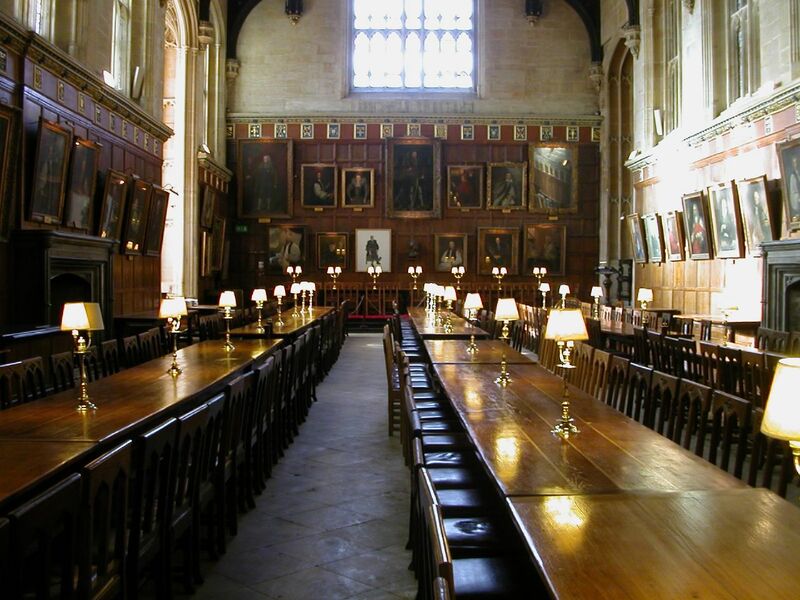 The Great Hall of Christ Church College at the University of Oxford was replicated to create Hogwart’s Hall in the Harry Potter movies. [Image: Flickr | nathanaels (CC BY 2.0). Having established my framework, I laid out some rules of engagement for myself. I didn’t necessarily have to eat with others if I couldn’t find them, but I did have to eat in the cafeteria for every meal. If given a takeout container (by awesome staff who remember my usual preferences) I had to eat in my residence common area. I had to use a tray when ordering and carrying food. The experiment itself was uneventful – I got food “for here” on a tray, and was often helped (very kindly) to a free seat by cafeteria staff. What surprised me was the almost instantaneous effects. I felt more at home than I have all term, possibly my entire university experience. Something about eating on a real plate at a table with silverware, and not out of a cardboard container on my bed with plastic cutlery made me feel more welcome. I was never able to meet up with others to eat (I kept missing my new neighbours), but this didn’t bother me. I wasn’t joined by others, but I didn’t feel so alone. Perhaps because I chose this experiment: I wasn’t left alone by my peers, I was among them and alone voluntarily. Of course, I would have preferred company sometimes, but perhaps the thought that I was making more effort to be with my peers was comfort enough for now. Self-isolation due to fears of regressing back to a lonelier, more anxious incarnation of myself, and worries of looking weird eating alone kept me away, but a willingness to show up and be visible gave me confidence I could never have imagined. There was only one uncomfortable moment when I sat down directly across from a group of friends. I felt I was too physically close not to be intruding on their lunch. Overall, this experiment was a greater success than I could have ever imagined. I took it on doubtfully, but now am a full supporter of public, voluntarily solo eating. The next logical step is to make more efforts to find people to eat with and reconnect with existing friends in Toronto. But I’m headed in the right direction towards socialization, however slowly I’m getting there.